In this paper, the technological process of microwave freeze-drying equipment for potatoes was studied in depth. The eutectic point and eutectic point of potatoes were measured. The pretreatment technology of potatoes was studied. The optimum freeze-drying technology of potatoes was obtained by analyzing the factors of freeze-drying experiment. Potatoes are tuber plants, belonging to Solanaceae, also known as potatoes, potatoes, yam eggs, ground eggs, etc. They are spherical, elliptical, oval and cylindrical in shape. Their skin is white, yellow, pink, red and purple, and their flesh is white and light yellow. If the sun shines too long, they will turn green and have sprouted. Potatoes contain a nightshade, which is toxic to humans and livestock. Potatoes are rich in starch, protein, iron, vitamins and so on. Among them, the carotene content of potatoes with yellow meat is higher. It is not only a favorite vegetable but also food. 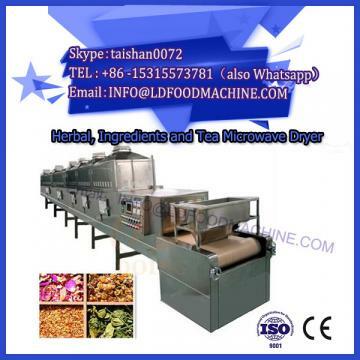 It can also be processed into convenience food and leisure food with different flavors and characteristics, such as dehydrated potato chips, potato instant noodles, potato cakes, fried potato chips, expanded potato chips, baked potato chips, freeze-dried potato rolls, etc. In addition, it can also make potato cans, potato wine, potato drinks, etc. Loved by consumers. 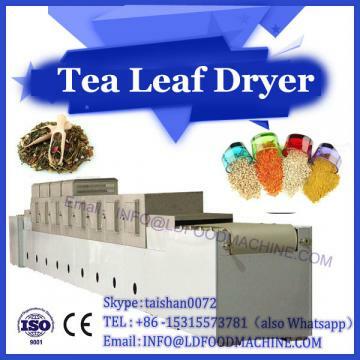 Freeze-drying (freeze-drying) technology is a sublimation drying process in which the material is frozen in advance by a freezing potato bar maker and its moisture is directly changed from solid state to gaseous state under vacuum conditions. 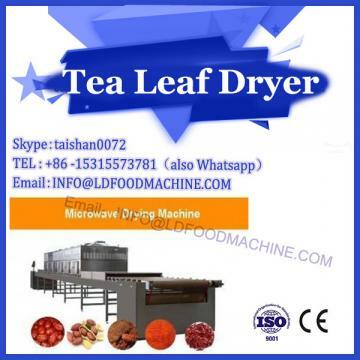 The food processed by this drying method can keep the nutrient composition, color, fragrance and taste of fresh materials to the maximum extent, and its shape is basically unchanged, and its rehydration is good. At present, the research on the process parameters of freeze-dried food is not deep enough in our country, and the control of process parameters in the production of freeze-dried food is blind, which greatly affects the quality of products and increases energy consumption. In order to promote the development of food freeze-drying industry in China, produce high-quality freeze-drying food, shorten the freeze-drying time and save energy consumption, the freeze-drying technology of potatoes was studied in this paper. The pre-freezing temperature must be lower than its eutectic point, otherwise a part of water will not freeze into ice, and this part of water will be removed in the form of evaporation rather than sublimation during drying. The sublimation temperature of sublimation interface ice is an important control index. The temperature is too low, the vapor pressure is low, the driving force of mass transfer is small, and the sublimation rate is slow; the temperature is too high to exceed the eutectic point, and the melting of ice makes sublimation failure. In order to dry quickly without melting ice, the temperature of sublimation interface should be increased as far as possible under the condition of lower eutectic point. A lot of experiments have proved that when the partial pressure of water vapor in the cold trap is equal to half of the partial pressure of water vapor corresponding to the sublimation interface temperature, the sublimation rate is the highest. In the experiment, the temperature of the water vapor partial pressure is obtained from the cold trap temperature. The specific test methods are as follows: the pretreated potatoes are laid flat on the net tray, the potatoes are frozen below - 25 C for 1 hour, vacuum is kept, heating temperature is set, heating system is started, drying is completed, vacuum pump, refrigerator and heating system are closed, the freeze-drying chamber is deflated, the products are taken out and vacuum is carried out. Packaging or inflatable packaging. The experimental factors were as follows: potato slice thickness was 2, 4, respectively. 8 m m, the heating temperature is 20, 30, 40, 50, 60 C.
According to the internal process of material freezing, the freezing process can be divided into three stages: nucleation stage, large ice crystal growth stage and eutectic zone stage. When the eutectic and eutectic point of potato is measured, the resistance value changes with temperature. In the first stage, the resistance changes little with the decrease of temperature, because there is still a large amount of water in the material during this period, and more charged ions can move freely; in the second stage, the resistance increases obviously with the decrease of temperature, because a large number of ice crystals are formed and grown, and the latent heat of crystallization is released to make the internal temperature. In the third stage, the moisture content in the material gradually freezes completely, and the resistance value changes abruptly. The corresponding temperature value is the eutectic temperature zone. In theory, the eutectic point of material is the temperature value when its resistance changes abruptly, but because of many factors, the resistance value of material often changes abruptly in a temperature range. After a large number of experiments and analysis of the test data, the resistance change rate of 5 M/ C is chosen as the upper limit of eutectic zone, and the lower limit is taken as the eutectic point in order to ensure that the material is frozen completely. According to this principle, the eutectic point of potato is - 22.5 C, and the melting point is - 16.8 C. In order to verify that the above temperature is eutectic point, the potatoes were frozen to -25.5 C and kept for 1 h. After partitioning the materials, it was proved that the inside of the potatoes was completely frozen through.